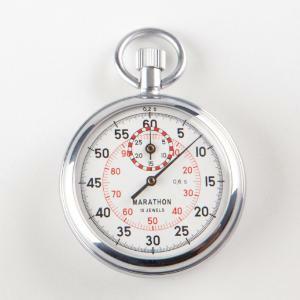 An excellent heavy-duty stopwatch that is ideal for student use. 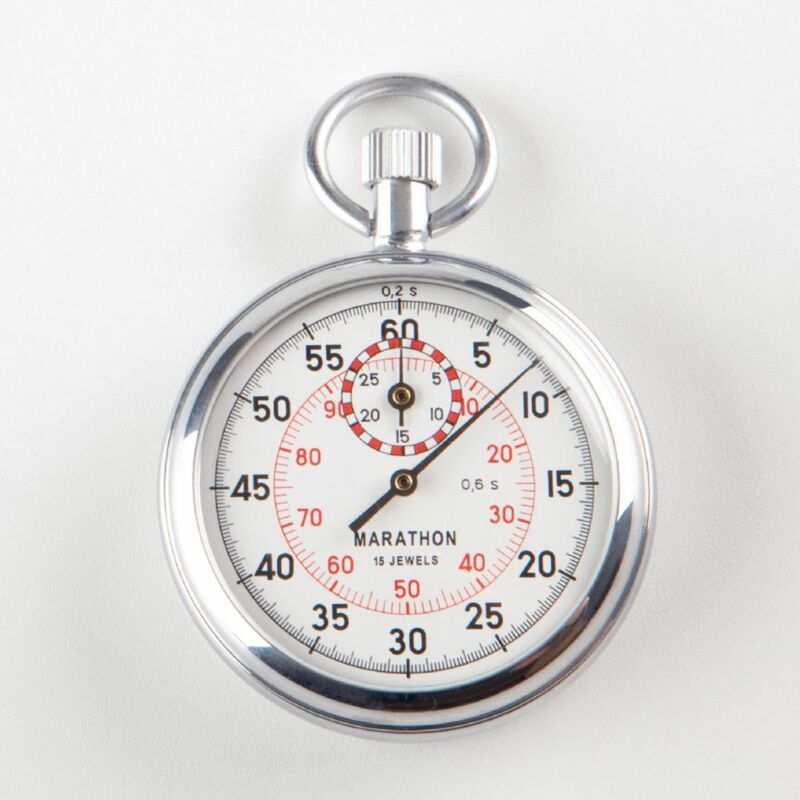 The stopwatch can be read to 1/5 second and registers to 30 minutes. Operation is simple with start, stop, and reset controlled by successive crown depressions. Attractive metal case.